2014 was a busy year for superhero movies with four big Marvel releases in the form of Captain America: The Winter Soldier, The Amazing Spider-Man 2, X-Men: Days of Future Past and Guardians of the Galaxy. Each of them of course featured some big fight scenes, with multiple heroes battling multiple villains. For that reason, we were spoiled for choice when it came to picking five of the best and worst battles from the movies listed above! However, we’ve still managed to do so, and you can find our selections right here. Though The Amazing Spider-Man 2 proved to be divisive, the rest were all very well-received, so the fact that we’ve even come up with five we consider to be the “worst” of 2014 may be somewhat controversial. As always, we’d love to hear your thoughts in the comments section about each of these picks regardless of whether you agree or disagree. Remember, you can find more of our comic book features by clicking here. 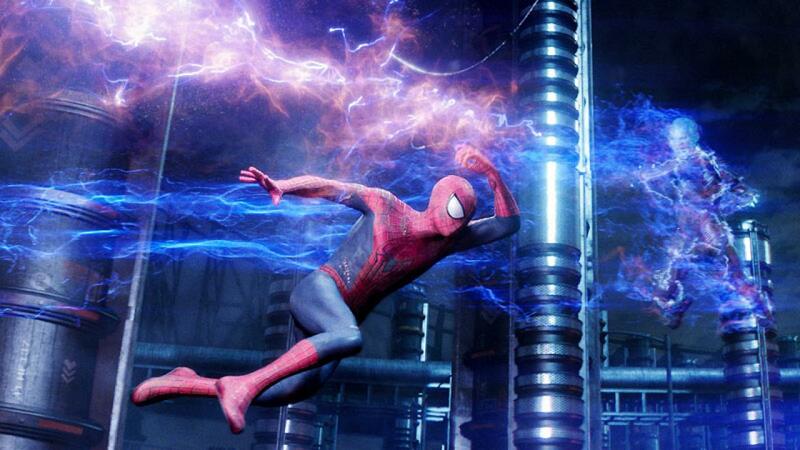 Whatever faults The Amazing Spider-Man 2 may have had (and there many), the special effects were some of the best we’ve seen from any superhero movie this or any other year. Whether it’s the battle in Times Square or the final fight – which was spoiled somewhat by a few silly moments like Electro beating Spidey up to the tune of “Itsy Bitsy Spider” – the fight scenes in this sequel were exactly what you would hope for when it comes to seeing comic book characters brought to the big screen. The electrically powered supervillain looked, well, amazing and seeing Spider-Man in action made for some stunning and thrilling sequences!